Here comes a classic that no one expected! 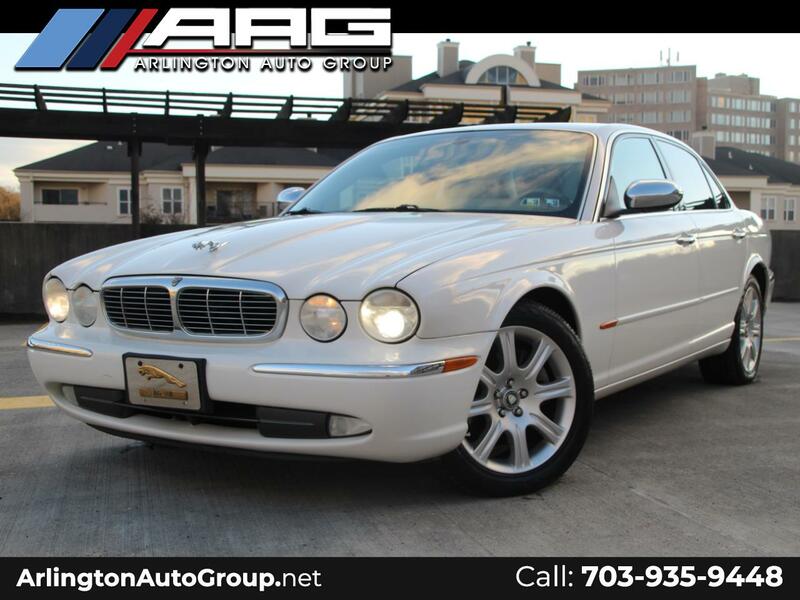 This is in fact a 2004 Jaguar XJ8 with less than 84,000 miles on the odometer. To make this an even sweeter package, this particular car is the Vanden Plas, edition so it arrives with more features than an ordinary XJ8. The car that went into this car during its life shows through the gleam of the White Onyx Paint option. Looking like a vehicle that belongs in a classic film or in front of a red carpet, Jaguar is no stranger to show stopping design elements. Check out the additional chrome accessories that liven this car up even further, such as the front and rear bumper trim, side mirror caps, the front grille, and the signature leaping hood ornament. The classiness continues on the inside, with an equally brilliant beige leather upholstery option. It’s impossible to miss the attention to detail found in the marvelous display of wood grain trim spanning the dashboard and the door panels. Signature Jaguar touches include the green-backdropped Jaguar head insignia and the “J-gate” shifter travel pattern. You and your family will find this to be a very pleasant cabin, with features like high intensity discharge headlamps, a touchscreen infotainment display, front and rear heated seats, navigation, an Alpine premium sound system, a power operated sunroof, dual-zone climate control, shag-style floor mats, front and rear parking sensors, and more. It’s hard not to feel like the most important person on the road while behind the wheel of this XJ8 Vanden Plas. Whether you are the driver or the one being chauffeured, the experience inside this car is like nothing else! The ride is appropriately smooth and nicely cushioned, thanks to magnetorheological suspension. Steering has just the right amount of weight, while still being buttery smooth through the grasp of the wood grain steering wheel. Punch the throttle of this Jaguar AJ-Series 4.2 liter V8 powered car, and you’ll be granted with a seamless rush to the speed of your desires. This car honestly drives even better than it looks, and there’s not enough words to truly describe the sensation felt behind the wheel. We know that with this condition and mileage, the car won’t remain here for very long. Please come experience this car for yourself, while it is still available! We’ve carefully overlooked and addressed all of the maintenance requirements to get this car up to date and ready for you to drive hone today. If long term ownership is a possibility, please feel free to ask about our extended warranty options. When you are ready to reserve this car for yourself, or if you have any questions, please call or text (571) 260-3207! WE LIKE TO SPECIALLY THANK OUR MILITARY CLIENTS BY OFFERING THEM ADDITIONAL INCENTIVES!! !